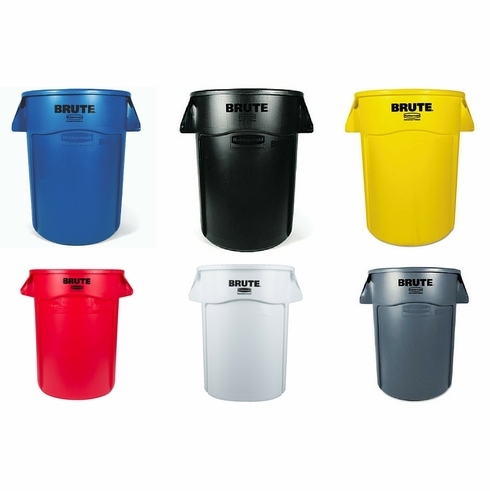 Rubbermaid® Brute® Containers all-plastic, professional-grade construction will not rust, chip or peel, and resists dents. 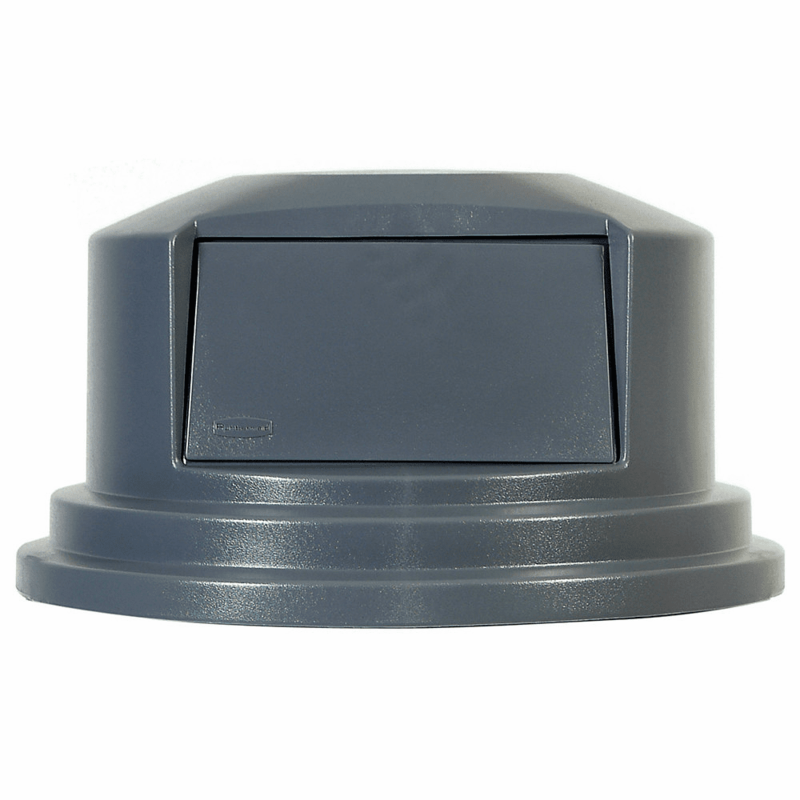 Available snap-on lids, sold separately, allow for secure stable stacking. Reinforced rims add strength and durability to containers. A double-ribbed base is used to increase stability and dragging capacity. Gray, white and yellow are USDA Meat & Poultry Equipment Group Listed and assist in complying with HACCP guidelines. Gray, white and yellow are certified to NSF Std. #2 and Std. #21. 24" dia x 31 1/2" H; Round container w/o lid. Use polyliner bag: 5008-88. Use Lid: 2645, 2647-88.